Establishing instructor presence in the online classroom is one of the many challenges for the teacher in the online environment. Is it possible to establish a sense of ‘being there’, a climate for learning and student engagement while not being physically ‘there’? In my last post we saw an excellent video introducing the concept – let’s dig in a bit further. 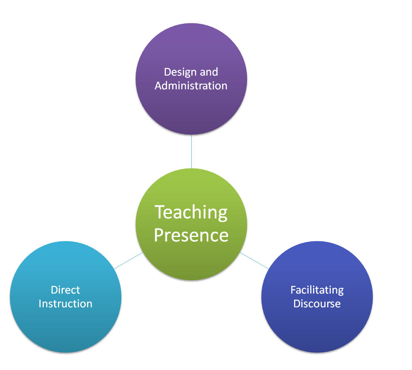 First, let me describe how I would define instructor presence from a student’s perspective. I’ve taken several online courses, and currently I’m enrolled in two. I’ve felt when a prof is there and part of the class, and when the prof is MIA [missing in action] or in absentia. Let me use an analogy of a ghost town to help describe it – a ghost town has the facade of a ‘normal’ town, but is empty – eerie and … lonely. This is what it can feel like when logging onto a course home page, without an instructor being involved, it seems empty :(. This sense of non-instructor involvement can be somewhat unnerving for the student, and potentially overwhelming all at the same time. I do realize that most professors may be completely unaware of how their students feel. Hence my effort to explain it – though professor presence is a rather elusive concept. 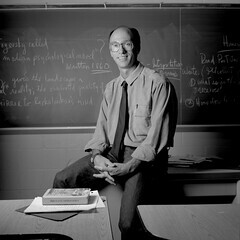 The instructor’s role is critical to learning, whether in the face-to-face classroom or online. Studies on distance learning supports the assumption that instructor-to-student, and student-to-student (social presence) interaction is a critical component of learning, and an important factor in learner satisfaction, which leads to learning effectiveness. According to research by Blignaut and Trollip, “Being silent [the instructor] in an online classroom is equivalent to being invisible” and “presence requires action”. Online instructors’ participation in the online course discussion threads is essential. Use announcement forums or professor news board [within your lms] to communicate with students collectively throughout each week – this helps maintain the focus on learning objectives. Use email, Skype, video messages and/or feedback on student submitted assignments for instructor-student communication. Instructor presence in the online classroom requires careful planning and foresight, at the earliest stages of course development. Further to the above comment, creating instructor or teaching presence, involves creating a carefully designed course (see diagram below) involving opportunities for interaction and feedback. Threaded discussions are a backbone to interaction. Next > ‘Being There’ in Online Learning with Elluminate Live!